At the Law Office of William Charles Dixon, we provide tireless dedication to our clients, whether they were injured in an accident or are working to grow a successful business. It’s a deeply personal approach not found in many law firms in the Philadelphia region. Firm founder William Charles Dixon will personally meet with you or your loved one -- day or night, at the hospital, at your workplace, or at your home -- to make a first-hand assessment of your legal needs. 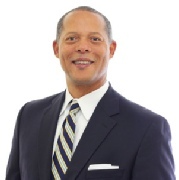 Mr. Dixon has more than 30 years of experience as a lawyer and is well regarded throughout the legal community for his broad understanding of the law and his devotion to his clients, from the first meeting all the way through the resolution of their case -- and beyond. He has a proven track record of fighting hard to ensure that his clients receive the fair and just compensation they deserve. Personal injury cases handled by the firm have resulted in more than $10 million in recoveries for our clients. We handle all personal injury cases on a contingency basis, meaning you will never pay a fee unless a recovery is made in your case. Contact us either through the form on this page or by phone for a free initial case evaluation. We serve Philadelphia as well as Montgomery, Delaware, Chester and Bucks counties.